After a brief break, the a-n degree shows takeovers returned with Dundee-based FK McLoone visiting the Masters fine art, Masters communication design and BA (Hons) fine art shows at Glasgow School of Art, followed by the BA (Hons) fine art show at Edinburgh College of Art for an “admittedly hectic” three days of “back-to-back” takeovers. McLoone said it was “hard to capture everything going on at GSA’s MFA show, and near impossible to describe it” as she reflected on her favourite picks over a series of posts. Also in the MFA show, Nastia Nikolskaya’s wood and tarpaulin sculptures, “while unassuming from the outside”, said McLoone, “offer an unexpected moment of intimacy and reflection to the viewer once inside”. In the communication design show at the GSA Reid Building, works by artists commenting on political and social issues caught McLoone’s attention. 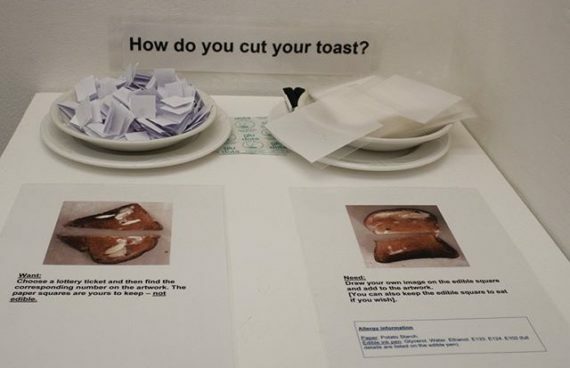 Trackie McLeod’s ‘altered workwear’ references how “working class people spend the most on lottery tickets, yet do not have the benefits of lottery funding proportionally returned to them” said McLoone. While Kathryn McKenna’s work uses prescription pads and an 18-month planner “to illustrate the NHS’ failures of treating the mentally ill”. At the “labyrinthine Tontine Building” the following day, McLoone offered this advice to visitors of the Glasgow School of Art undergrad show. “Plan for a break! With well over 100 students showing work across fine art photography, sculpture and environmental art and painting, and printmaking, it’s easy to get fatigued attempting it all in one go. 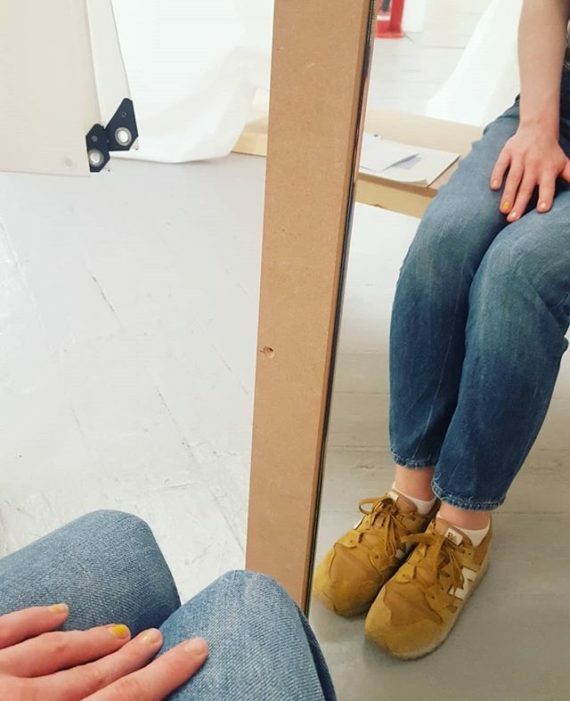 In a comment on her own Instagram, McLoone described the work of fine art photography graduate Flannery O’Kafka as “perfection”. 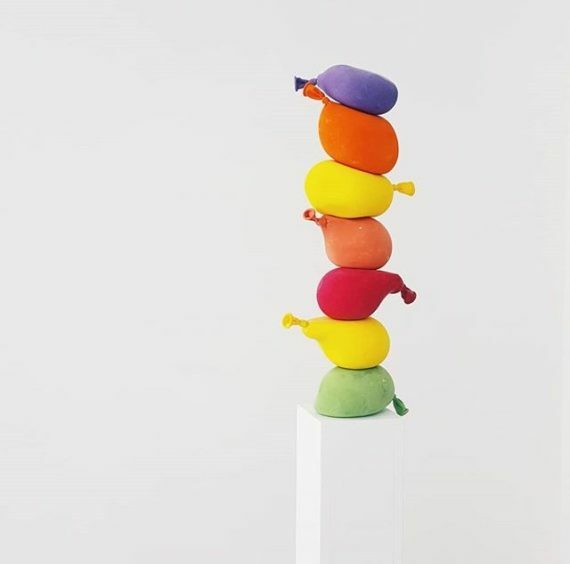 At the Edinburgh College of Art fine art degree show McLoone posted several images of Duanwisakha Cholsiri’s “temptingly tactile sculptures” explaining that the works “permanently teeter on the edge of collapse, demonstrating a clever use of materials and a fine-tuned understanding of balance”. 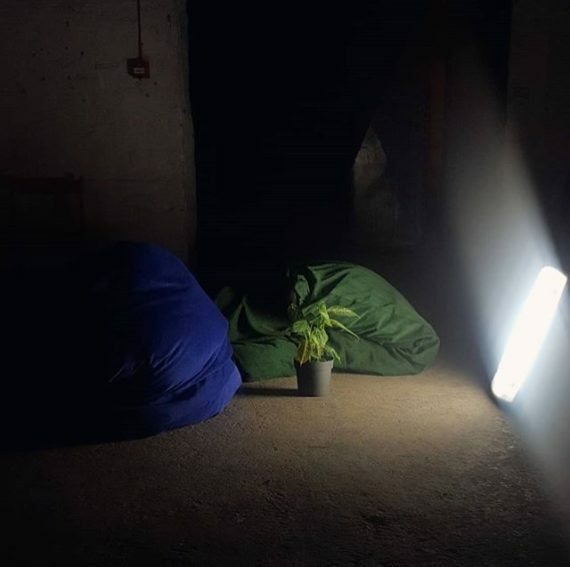 Also at the Edinburgh fine art show McLoone posted a video of Emily Dunlop’s “simultaneously horrifying and hilarious” screaming houseplants. Alongside Protesting Plants, which McLoone described as an “interactive ethical dilemma”, Dunlop is exhibiting videos of “fruit going under the knife… An equally disturbing experience in a more hands-off manner,” said McLoone. For her final post from her final takeover of this degree shows season McLoone selected Rohanie Campbell-Thakoordin’s multidisciplinary work Country the Country. “There are lots of ambitious works on show at ECA, but none so ambitious as Campbell-Thakoordin’s Country the Country,” explained McLoone. Rebecca Ainsworth’s final degree shows takeover focused on Bolton School of the Arts’ fine art show at University of Bolton. Cheryl Dalton’s work in the show raises questions about over consumption and poverty in contemporary society. 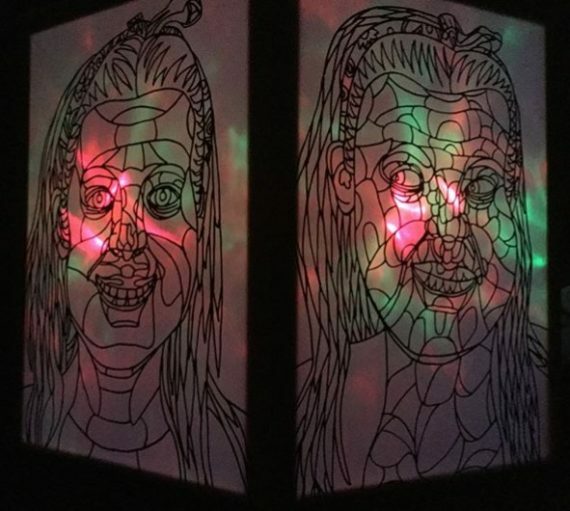 Also from the University of Bolton show, Rebecca Oxley’s multi-media print installation is displayed in a darkened space which, Ainsworth explained, gives the work an “eerie feel”. 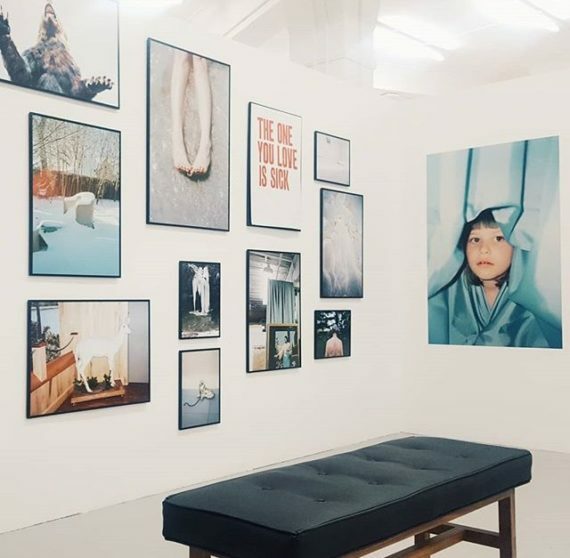 The Glasgow School of Art MFA degree show and Edinburgh College of Art degree show continue until 10 June 2018; University of Bolton’s Creative Show 2018 continues until 21 June 2018. Next up: Janet Tryner visits Birmingham School of Art Graduate Show 2018 at Birmingham City University and Sam King begins his takeovers with a visit to Camberwell College of Arts Summer Shows 2018.